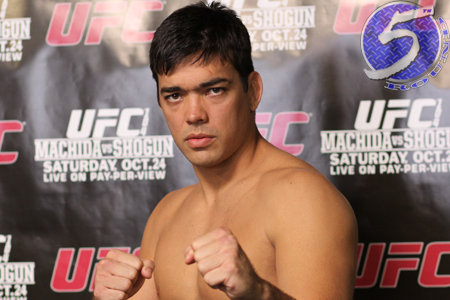 Lyoto Machida (Pictured) has flustered opponents his entire career utilizing his elusive style. As “The Dragon” prepares to enter his UFC 140 title scrap against light heavyweight champ Jon Jones, Machida now has the Gambling Gods thoroughly confused as to how big of a favorite “Bones” should be to retain his title. According to BetUS.com, Jones is a whopping 5-to-1 odds-on favorite to beat Machida. They have pegged the Brazilian as a 3-to-1 underdog. BetOnFighting.com, on the other hand, has Jones rated as a -385 favorite and Machida as a +285 long shot. Therefore, betters actually have some power for a change and can choose the line that favors them the most. Clearly, those wanting to lay money on Machida would be better off going with BetUS and Jones fans would be best served placing their wagers on BetOnFighting. UFC 140 takes place December 10th inside the Air Canada Centre in Toronto.